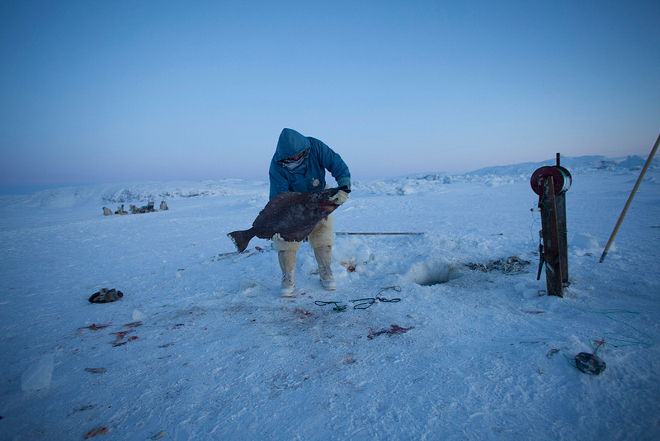 Extreme fishing is relatively new in Greenland. Join in fishing for shark and halibut with longlines. The fishing trips last two days, and we begin by baiting and preparing the equipment and ending the first day by putting the longlines in the sea. Next day we pull the lines in with beating hearts. Maybe we have had luck during the night? Cod, halibut, rays and maybe even a big shark. Robson Green is extreme fisherman and he too was thrilled with the possibilities in the sea at Ilulissat.